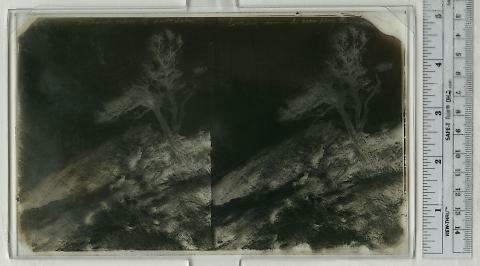 inscription: "430 Distant view of Salt Lake Looking down the Weber from the Wasatch," inscribed in emulsion along top edge. Photograph. Title: Distant view of Salt Lake Looking down the Weber from the Wasatch Image Description: (s430) see Title Physical Description: Stereographic collodion glass plate negative. Sub. Cat. : Transportation -- Railroads. 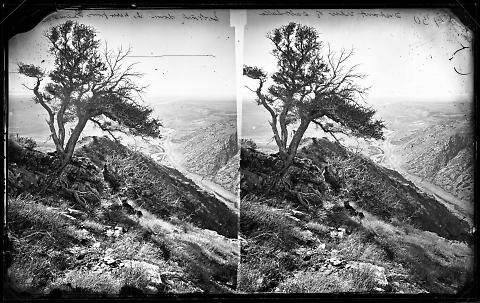 Remarks: listed in Sedgwick's catalogue as "Distant View of Promontory & Salt Lake".